So much depends upon the human gut. It is after all the organ that determines if—and how—what we eat fuels the other organs. That’s why we need it to be in optimal health and fix any digestion problems now rather than later. Regardless of where you stand on the hotly contested issue, here are some of the best and worst foods for your gut for you to finally tackle those digestion problems. 1. Organic fruits and vegetables should also be the base of your diet not only for their fiber (if you’re of that school of thought) but also for their liver-cleansing abilities and myriad antioxidants, minerals, vitamins, and more. Many nutritionists tout bananas for not irritating the stomach, along with moderate amounts of apples. Be careful about nightshade vegetables, though—like tomatoes and peppers—since they tend to be inflammatory. Some people report painful joints or, more often, upset stomachs. Asparagus, onions, and lentils, on the other hand, contain prebiotics, on which probiotics feed to multiply in the gut. 2. Water is essential for digestion, and when we don’t get enough of it, things start to slow down in the intestines. 3. Herbs and spices like ginger and turmeric are great for calming upset stomachs. It’s the logic behind giving someone who’s seasick some ginger ale. Peppermint is great for both your breath and your digestion, and can easily be grown on your front porch. (Avoid growing it near a street, though, as you’ll want to avoid the pollution.) Grate some ginger or pluck a few sprigs of mint leaves and steep in boiling water for a few minutes and enjoy with a spoonful of raw honey to subdue a bellyache. 4. Organic yogurt from grass-fed, pasture-raised cows contain considerable amounts of probiotics. Kefir is another good source. 5. Sauerkraut, nattoh, and other raw, cultured vegetables are great sources of helpful enzymes and bacteria. Plus one: Also effective at treating digestion problems, oregano oil can be used as a powerful digestive aid. Learn more about: oregano oil benefits. 1. Spicy foods may trigger acid reflux in some people, although there is evidence that they may help you lose weight. 2. Caffeine is inflammatory, and in addition to contributing to inflammatory conditions like acne in some people, it does the stomach few favors. It also relaxes the esophageal sphincter, increasing the potential for food that went down to come back up. 3. Soda is a repeated offender of numerous unhealthy conditions thanks to their GMO ingredients and high sugar (or high fructose corn syrup) content. Acidic drinks like sodas can also trigger reflux. 4. Alcohol may make us forget our woes for a time, but it can trigger unpleasant acid reflux and trigger inflammation in the stomach. 5. Dairy, like milk and cheese, can induce bloating even if you’re not lactose intolerant. Moderate amounts of yogurt, however, seem to work to the contrary. 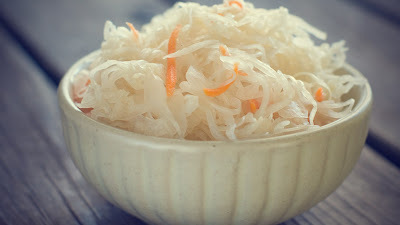 If you can’t even seem to tolerate yogurt, however, stick to other cultured foods mentioned above like sauerkraut. Not satisfied? Maybe you shouldn’t be—there are loads of foods good for the gut, like olive oil, and lots of intangible things that are bad for the gut, like stress. Listen to and respect your body. It knows better than anyone what it needs. Start tackling those digestion problems today.